Peter Speake-Marin kindly consented to answering our questions about his past, present and future in watchmaking. Ambrose Lancaster: Has this been a particularly stressful time for you? Peter Speake-Marin: I am sure you can appreciate that taking such a decision was not an easy thing to do, but it was taken some time ago, it was time and it was the right decision for myself as an individual… as the founder of a brand you can’t just get up and go. However leaving a comfort zone and embarking on my new project The Naked Watchmaker requires focus and is challenging, so today no room to be stressed, I am truly excited. A.L. : Perhaps the difficulty in watch enterprises is that you need a lot of capital investment, which can lead to the transfer of decision-making power to other parties? Peter Speake-Marin: Running any business is a complex affair no matter who is involved, no matter what the industry. It was simply time for me to move on. A.L. : Is there any chance of you moving back to Speake-Marin later on? Peter Speake-Marin: It’s not in my plans, it’s also too soon to know, growth requires change and change is the only constant in life. In other words never say never, it’s really not in my plans. Today The Naked Watchmaker is all-consuming and will be for some time to come. A.L. 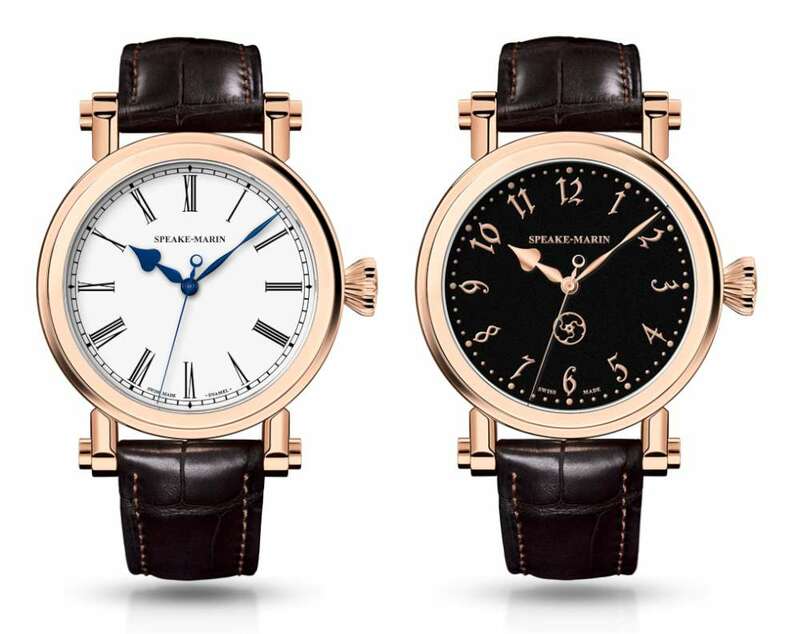 : Will Pierce Brosnan continue as ambassador for Speake-Marin? Peter Speake-Marin: No idea, you need to pose that question to Speake-Marin Ltd. A.L. : You have made many landmark pieces. If you had to choose one particularly close to your heart, which would it be? Peter Speake-Marin: Thank you, that’s very kind of you. The Resilience will always be the first and my most loved, it’s where I began and I believe will always be my signature piece. A.L. : The name, The Naked Watchmaker, seems to allude to independence, you and you alone. Is that the case? Peter Speake-Marin: The name doesn’t allude to anything but you made me laugh, yes I am working on it on my own for the moment. It’s a considerable project, developing a platform that will provide an insight into the heart of mechanical watches, in a different but very complimentary way to all the websites and blogs that exist today. A.L. : Could you tell me something about the objectives and style of your new enterprise? Where will it be located? Peter Speake-Marin: The objective is to share knowledge and understanding of the magic of mechanical watchmaking modern and old to a new generation. It’s located in Switzerland, my intention is that it will serve as a reference for those who are lovers of horology, students as well as those just a little curious, so there will be other people involved especially for the versions in Mandarin and Japanese which I also hope to build, in the future. A.L. : I guess that June 2017 is a major milestone in your career. Looking back, what is your principal emotion connected to those 16 years of the brand? What are your sensations looking forwards? 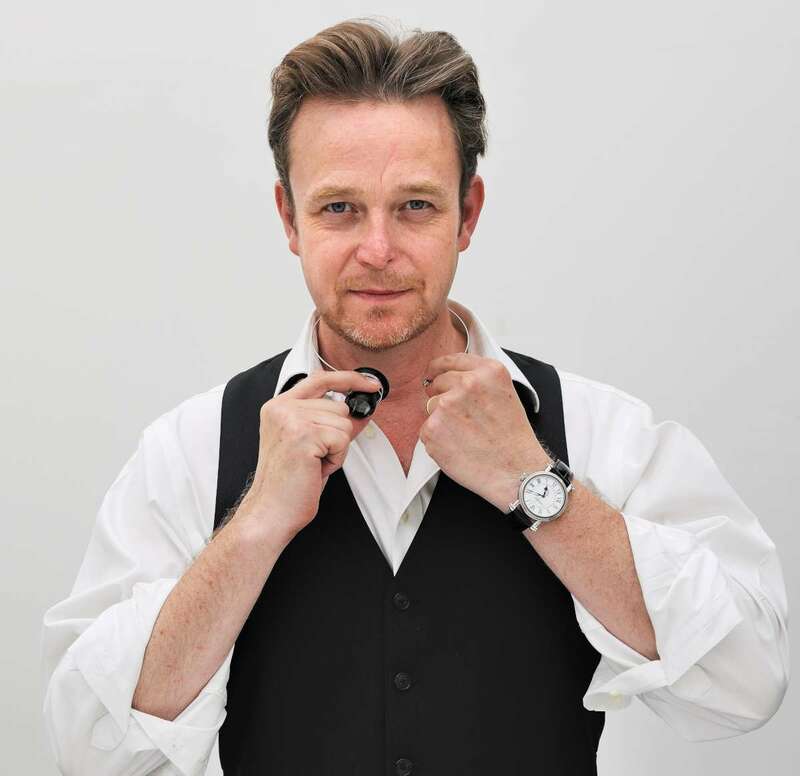 Peter Speake-Marin: Looking back, the word that comes to mind is awe, an incredible experience, in Horology, business, marketing, travel and people, the people are what have made it such a memorable journey. Looking forward, I feel elated, like a child on Christmas eve, but with the wisdom of 30 years of experience behind me, I hope your readers will sign up, www.thenakedwatchmaker.com will be launched in September, it’s an ad-free site and details will not be passed on to any third party, now or ever. Thank you for the questions and the opportunity to share my project with your readers. A.L. : Thank you Peter, I signed up and I’m looking forward to seeing what The Naked Watchmaker will be doing in September.